Fr. John Allen is a native Washingtonian. In 2012, he graduated from Western Washington University with his bachelor’s degree in history and social studies. During his time at college to become a lawyer, God called Fr. John into ministry and he responded obediently. John attended Trinity School for Ministry and graduated in 2016. During his time at school, he met and married his wife Camilla in 2015. 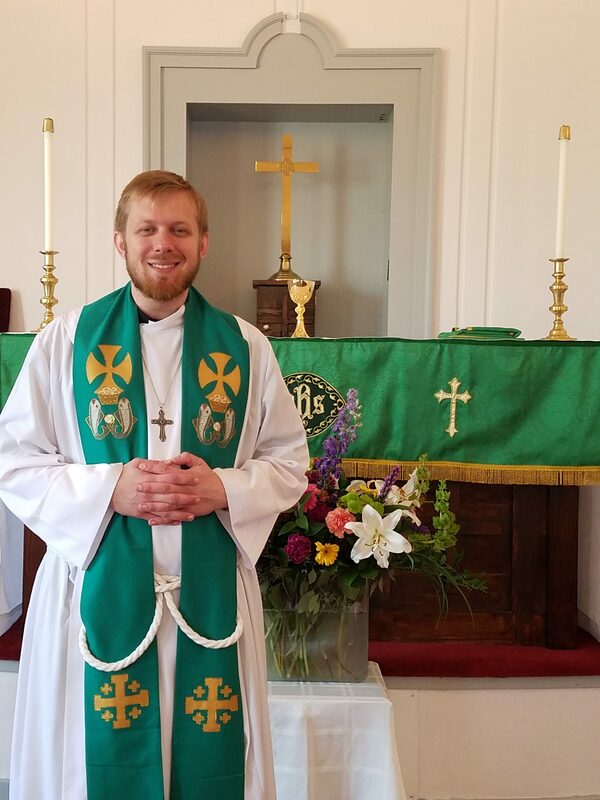 Soon after graduation, he was offered a position in his home state of Washington and accepted the position as the Priest of Christ Our Hope. Fr. John’s wife, Camilla, is from Caruaru, Brazil whose father is the priest of our sister parish, Paróquia Anglicana do Advento. Currently, his wife is attending Evergreen State College to earn her Master of Education to become a middle school math and science teacher. Camilla is also the Sunday school teacher at Christ Our Hope. They have one dog, Bear, enjoy travelling, hanging out with new and old friends alike, and are huge Seahawks fan. Fr. Jeramy Jensen was born and raised in Minnesota. After high school, he joined and served in the United States Marine Corps for 8 years as a logistics specialist. Before starting his second enlistment, he married his high school love Sasha in 2010 and were both stationed in Okinawa, Japan. Then in 2013, he felt God’s calling to ministry. So he left the military as a Staff Sergeant in 2014 to pursue his bachelor’s degree at Azusa University in Azusa, California where he graduated in 2016. After graduation, him and his wife moved back to her home state of Washington. 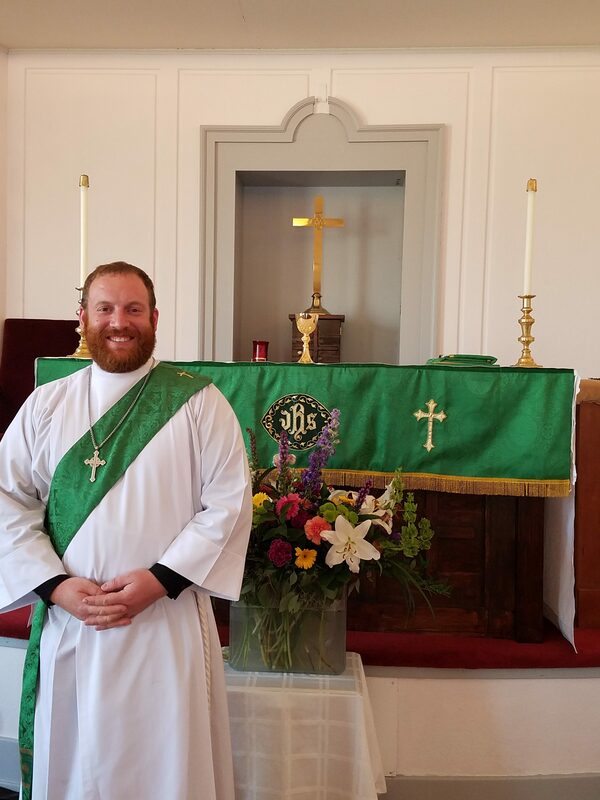 In November 2017, Jeramy was ordained Deacon and has served at Christ Our Hope Anglican Church ever since. He is also currently attending Fuller Theological Seminary-Northwest where he is anticipating to graduate with his Master of Divinity in the Spring of 2019. Jeramy and his wife, Sasha have been married for almost 9 years, have three dogs, enjoy the outdoors, and love to travel all over the world. Sasha is currently in school to become a Nurse Practitioner, serves on the Vestry, and are both excited about all the opportunities God has in store for them and Christ Our Hope. I would prefer an email. I would like to set-up a time to meet with a clergy member. 802 Jefferson St SE, Olympia, WA 98501. Other time and options by appointments.